How’s this for a story? One morning Gregor Samsa wakes up and discovers he’s a huge insect. He tries to get out of bed but it’s too hard because “he had only numerous little legs which never stopped waving in all directions and which he could not control in the least.” Gregor is puzzled by this metamorphosis, but his first reaction is that he’ll be late for work. Even though such a transformation is literally impossible, Gregor takes it in his stride. He doesn’t question it, nor does his family; it’s never explained, it just is. The family is repulsed, but they simply get on with things. The situation is simultaneously real and surreal. The Metamorphosis is a story that stays with you forever. It’s absurdist premise gets you in from the start, but its power is to make you think beyond the fact that Gregor is a giant bug grappling with a new body and a complete shift in what he likes to eat and how he sleeps. We learn about his soul-destroying job and the demands of his family. Gregor is a drudge really, and perhaps the whole transformation is symbolic of an innate desire to give up on life. His family begins by being sympathetic, then annoyed, resentful and uncaring, and ultimately decide they’d be better off without him. When Gregor dies, they’re relieved and begin their lives again in a state of optimism. Written in 1912 (published in 1915), The Metamorphosis is a powerful examination of alienation, although it contains plenty of humorous elements too. The scene where his father chases Gregor back into his room with a rolled-up newspaper is funny, there’s no two ways about it. 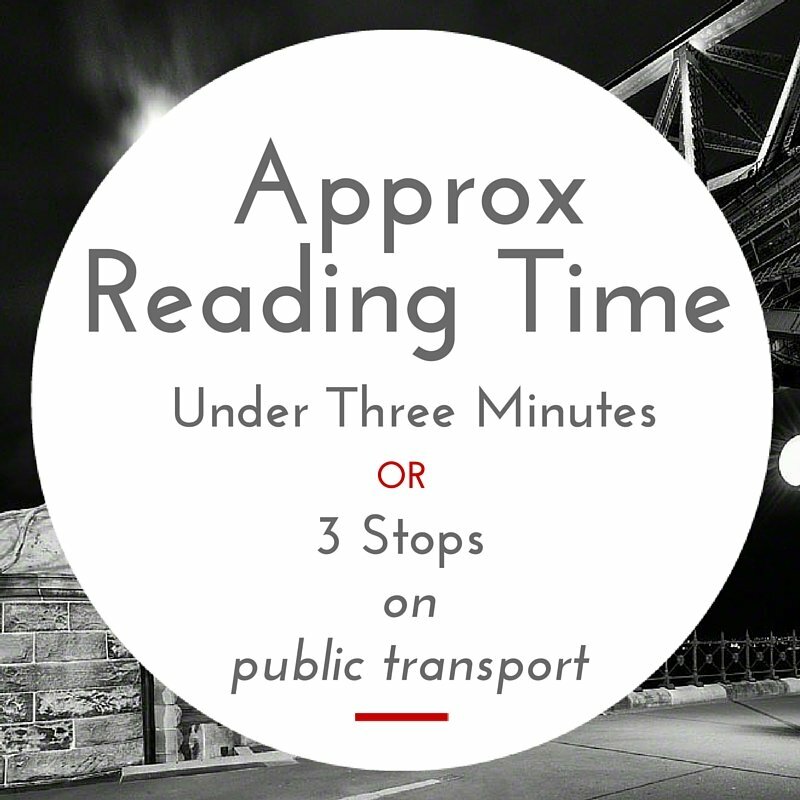 It’s a remarkable work and one of the most discussed and analysed pieces of twentieth-century literature. Its author, Franz Kafka (1883-1924), only really became famous after his death. He’d enjoyed some literary success during his 40 years, but all that would have been forgotten had his friend and literary executor, Max Brod, acceded to his dying wish that his unpublished writings be destroyed. Thank you, Max Brod! Works like The Metamorphosis and The Trial show suffering, the search for meaning and self-value, and the impotence of individuals against officialdom. His characters are pawns in unwinnable chess games. Kafka was born in Prague, the capital of Bohemia (present-day Czech Republic), to an upper middle class non-religious Jewish family. They spoke German and all Kafka’s works were written in that language. Franz was the oldest son; two brothers died in childhood; his three sisters later died in the Holocaust. Franz always dreamed of being a writer, an ambition actively discouraged by his family. His father was a bully, an overbearing man who put great stock in money and social success, and thought writers a waste of space. Scholars comment that Kafka’s personal demons originated from his fraught relationship with his father, and in fact Kafka wrote him a letter (1919) blaming him for his low self-esteem and his failure in personal relationships. “My writing was about you; in it, I bemoaned what I was unable to bemoan at your breast.” That letter, incidentally, never reached his father. To please his family Kafka studied law, completing his degree in 1906. The following year, he began work in the insurance industry. He found the work tedious, but was a diligent employee for many years, writing at night and whenever he had a spare moment. 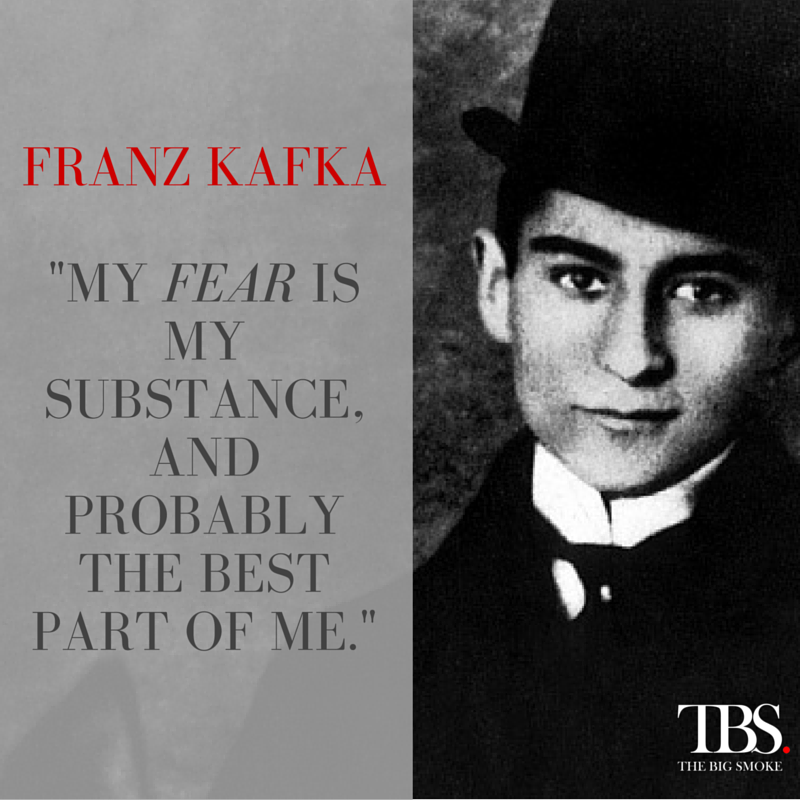 Kafka suffered from neuroses and possibly depression, and was constantly wracked with doubt about his abilities. He also had to contend with digestive problems and may also have had anorexia nervosa. At 34, he contracted tuberculosis, which required frequent periods of bed rest, sometimes in sanatoriums. It was tuberculosis that claimed his life in 1924. In 1912, he wrote The Judgment, in which a man deals with a domineering father, his forthcoming marriage, and keeping in touch with an old friend. Kafka wrote the story in a single sitting, inspired by his growing friendship with Felice Bauer, the model for the fiancée in the story. Kafka was engaged twice to Felice. He struggled with the idea of marriage, craving a more intimate personal life, but believing that being single was critical to his art. In one of his letters to her, he wrote that his ideal life would be in a locked cellar with only a lamp and his writing implements. Not very conducive to romance! Their relationship spanned five years or so, but in the end writing won, and Felice went on to marry someone else. Kafka had other relationships, but his art always came first. The Judgment was followed by The Metamorphosis. Among his other stories are In the Penal Colony, A Country Doctor, and Meditation, all published in his lifetime. After Kafka’s death, Brod published the novels The Trial (1925), The Castle (1926) and Amerika (1927) as well as more short stories, letters, and diaries, cementing Kafka’s reputation as an avant-garde and visionary author. The Trial opens with the arrest of Joseph K and his subsequent trial. What he’s on trial for is never explained – Joseph has no idea what they’re talking about. It’s a nightmarish scenario: no matter how hard he protests his innocence, he is overridden. He’s utterly powerless. Works like The Metamorphosis and The Trial show suffering, the search for meaning and self-value, and the impotence of individuals against officialdom. His characters are pawns in unwinnable chess games. The confusing, complex, usually hopeless situations in which they find themselves have led to a new word, one we use more and more in today’s crazy mixed-up world: Kafkaesque. 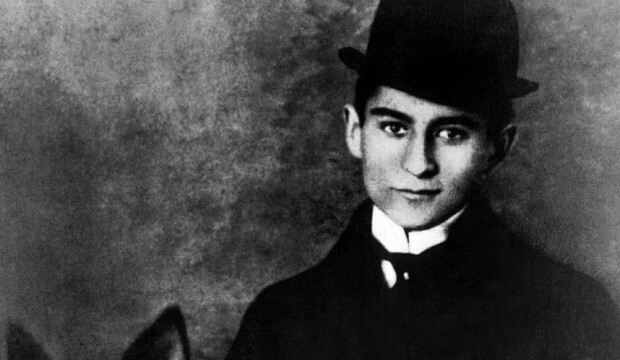 Franz Kafka’s approach to telling stories has been debated for decades – was he being autobiographical, psychological or philosophical, or was he commenting on politics and society? Whatever the answer, his effect on world literature has been significant; he’s influenced writers as varied as Jean-Paul Sartre, Vladimir Nabokov, Gabriel Garcia Márquez and Haruki Murakami. If you haven’t read any Kafka for a while, reacquaint yourself with him. He’s funny and sad, sensitive and philosophical, and he prompts you to reassess the world. Get Googling.